KIA CARENS Mk II MPV (FJ) 2.0 CRDi MPV Diesel 07/2002 on FWD 16 113 83. KIA CARENS Mk II MPV (FJ) 2.0 CRDi MPV Diesel 11/2005 on FWD 16 140 103. Fuel Mixture Formation: Common Rail (CR). Model year from: 06/2001; Fuel Mixture Formation: Common Rail (CR). Engine Code: D4EA<(2B) D20>; Model year to: 03/2011; Fuel Mixture Formation: Common Rail (CR). Engine Code: D4EA<(2B) D20>; Model year from: 03/2008; Model year to: 03/2011; Fuel Mixture Formation: Common Rail (CR). FOR KIA SORENTO XM. Multiple choices exist for:KIA SORENTO 2.2 High Pressure Pump. Fuel Type:Diesel. This is an original quality part manufactured by Bosch. PART CHOICE ALERT. Part specifications. Multiple choices exist for:KIA CARENS 2.0 High Pressure Pump. FOR KIA CARENS UN. Fuel Type:Diesel. This is an original quality part manufactured by Bosch. PART CHOICE ALERT. Part specifications. KIA 331004A000. Fuel Type Diesel. 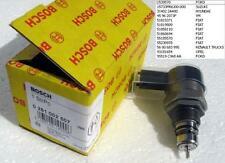 BOSCH 0 445 010 052. 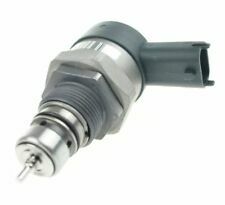 Model year to: 05/2004; Fuel Mixture Formation: Common Rail (CR). Fuel Mixture Formation: Common Rail (CR). Function High Pressure Pump. Model year from: 12/2001; Fuel Mixture Formation: Common Rail (CR). PART NUMBER 0455010052. 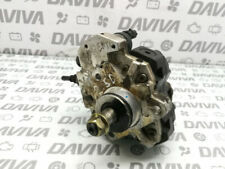 KIA SORENTO 2004 2.5 CRDI DIESEL INJECTOR PUMP. IF THERE ARE PART NUMBERS IN THE ADVERT, THEY'RE THERE FOR A REASON. THEY MUST BE CHECKED AGAINST THE PART YOU ARE REPLACING. IF IT DOESN'T MATCH THEN IT WONT WORK ON YOUR CAR. Multiple choices exist for:KIA PRO CEED 2.0 High Pressure Pump. FOR KIA PRO CEED ED. Fuel Type:Diesel. This is an original quality part manufactured by Bosch. PART CHOICE ALERT. Multiple choices exist for:KIA CERATO 2.0 High Pressure Pump. FOR KIA CERATO. Fuel Type:Diesel. This is an original quality part manufactured by Bosch. PART CHOICE ALERT. Part specifications. Multiple choices exist for:KIA SOUL 1.6 High Pressure Pump. FOR KIA SOUL. Fuel Type:Diesel. This is an original quality part manufactured by Bosch. PART CHOICE ALERT. Part specifications. Model year from: 07/2008; Fuel Mixture Formation: Common Rail (CR). KIA 331002A420. Fuel Type Diesel. Model year to: 09/2014; Fuel Mixture Formation: Common Rail (CR). Model year from: 01/2011; Model year to: 09/2014; Fuel Mixture Formation: Common Rail (CR). Multiple choices exist for:KIA CEED 2.0 High Pressure Pump. FOR KIA CEED ED. Fuel Type:Diesel. This is an original quality part manufactured by Bosch. PART CHOICE ALERT. Part specifications. KIA SORENTO I (JC) 2.5 CRDi. BOSCH WIPER BLADES & MOTOR. CHAMPIONS WIPER BLADE. APEC WHEEL BRAKE CYLINDER. APEC BRAKE DISC & PADS KIT. BOSCH IGNITION & FUEL PARTS. 2 Year Warranty Bosch High Pressure Pump. Kia C'eed & Cee'd Sporty Wagon 2.0 CRDi Reconditioned Bosch Diesel Fuel Pump. Bosch Fuel Pump Part Number(s) The fuel pump must be drained of diesel and placed in a plastic bag. You can find the manufacturers number on your old fuel pump. Multiple choices exist for:KIA CARENS 2.0 High Pressure Pump. FOR KIA CARENS FJ. Fuel Type:Diesel. This is an original quality part manufactured by Bosch. PART CHOICE ALERT. Part specifications. Fuel Type Diesel. KIA 331002F000. BOSCH 0 445 010 511, 0 445 010 544, 0 986 437 431. Model year from: 08/2013; Fuel Mixture Formation: Common Rail (CR). Fuel Mixture Formation: Common Rail (CR). Model year to: 07/2015; Fuel Mixture Formation: Common Rail (CR). PART NUMBER 0445010101 / 33100-4A010. 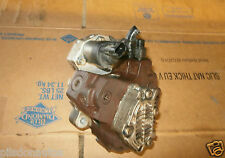 KIA SORENTO 2004 2.5 CRDI HIGH PRESSURE FUEL PUMP. IF THERE ARE PART NUMBERS IN THE ADVERT, THEY'RE THERE FOR A REASON. THIS MUST BE CHECKED PHYSICALLY AGAINST THE PART YOU ARE REPLACING. BOSCH SLAVE CYLINDERS. Catalyst Inc Fiting Kit. BOSCH WIPER BLADES & MOTOR. LUK OE QUALITY SLAVE CYLINDER. CHAMPIONS WIPER BLADE. KIA SOUL (AM) 1.6 CRDi 115. APEC WHEEL BRAKE CYLINDER. APEC BRAKE DISC & PADS KIT. 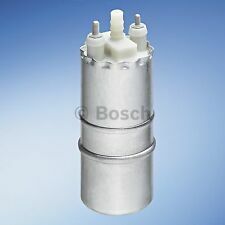 BOSCH PART NUMBER:- 0445010596. OLD FORGE ENGINE CENTRE LTD. KIA PART NUMBER:- 33100-2A600. FITS 2015-ONWARD. Whilst every effort is made to ensure that parts are despatched in good working order, problems and faults do occasionally occur. Reference OE/OEM Number: 3310027000 / 33100 27000. AB30-38, AB44-56, BT, FK17-21, G83, GY, HS 1-9, IM, IV,JE, KA 27-28, KW, PA 20-99, PH 15-32, PH 49-99, TR 21-25, ZE. Warranty: 1 Year. MPN: 986437020. BOSCH WIPER BLADES & MOTOR. CHAMPIONS WIPER BLADE. 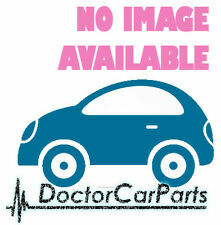 KIA RIO II (JB) 1.5 CRDi. APEC WHEEL BRAKE CYLINDER. APEC BRAKE DISC & PADS KIT. BOSCH IGNITION & FUEL PARTS. 2 Year Warranty Bosch High Pressure Pump. KIA SEDONA Mk II (VQ) 2.2 CRDi. BOSCH WIPER BLADES & MOTOR. CHAMPIONS WIPER BLADE. APEC WHEEL BRAKE CYLINDER. APEC BRAKE DISC & PADS KIT. BOSCH IGNITION & FUEL PARTS. 2 Year Warranty Bosch High Pressure Pump. FOR KIA SORENTO XM. Multiple choices exist for:KIA SORENTO 2.0 High Pressure Pump. Fuel Type:Diesel. This is an original quality part manufactured by Bosch. PART CHOICE ALERT. Multiple choices exist for:KIA SEDONA 2.2 High Pressure Pump. FOR KIA SEDONA II. Fuel Type:Diesel. This is an original quality part manufactured by Bosch. PART CHOICE ALERT. Part specifications. HYUNDAI 311101R000, 311101R200. KIA 311101R000, 311101R200. Engine Code: G4FA<(D1) 14GM>; Type ; Model year from: 01/2011; Model year to: 08/2014; or; Engine Code: G4FA<(D1) 14GM>; Type HYUNDAI ACCENT IV (RB) 1.4 Hatchback Petrol 11/2010 on FWD 16 107 79. In fuel tank Electric with add-on material, Intake Manifold Injection/ Carburettor. Hatchback / Petrol / Front Wheel Drive. BOSCH WIPER BLADES & MOTOR. CHAMPIONS WIPER BLADE. BOSCH IGNITION & FUEL PARTS. CERATO (LD) 1.6 CRDi 2005-ON. ACCENT III (MC) 1.5 CRDi 2005-2010. ELANTRA (HD) 1.6 CRDi 2005-2011. GETZ (TB) 1.5 CRDi 2005-2009. i10 (PA) 1.1 CRDi 2008-ON. i30 (FD) 1.6 CRDi 2007-2011. MATRIX (FC) 1.5 CRDi 2005-2010. KIA CLARUS (K9A) 1.8 i 16V. in fuel tank Electric with add-on material, Intake Manifold Injection/ Carburettor. Saloon / Petrol / Front Wheel Drive. BOSCH WIPER BLADES & MOTOR. CHAMPIONS WIPER BLADE. Part Number: 0445010101. All our parts are genuine!and don't forget drive safely! Price: 110 GBP. Reference OE/OEM Number: 0 445 010 101, 33100-4A010, 331004A010, 33100 4A010.